The Fennek is an armed reconnaissance vehicle produced by the German company Krauss-Maffei Wegmann and Dutch Defence Vehicle Systems. 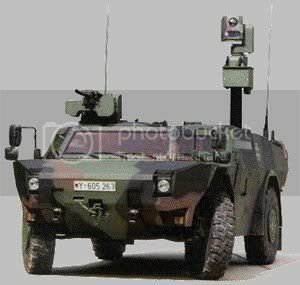 It was developed for both the German Army and Royal Netherlands Army to replace their current vehicles. Both Germany and the Netherlands have deployed Fennek reconnaissance vehicles to Afghanistan in support of ISAF. In Dutch service several versions are used. A version for reconnaisance packed with surveillance and recon equipment. An AT vehicle with Gill missile.